I’m thrilled to announce that I helped a Massachusetts homeowner beat foreclosure, through one of my most successful (and hard fought) cases to date. 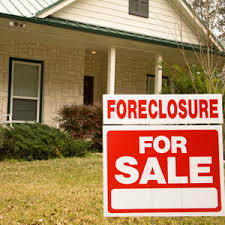 My client was foreclosed in 2009, as a result of a predatory loan that forced him into default. I began representing this client during the bank’s post-foreclosure eviction (“summary process”) case against him, where the bank was attempting to evict him from the home on the basis of a lawful foreclosure. To help him beat foreclosure, I developed a foreclosure defense based on the bank’s failure to send him proper notice prior to the foreclosure. The case was anything but a cake walk: we went through a full jury trial and two appeals before settling with the bank. The wait was worth it, however: my client has his foreclosure rescinded and a new loan modification, with a low interest rate and a $400,000 principle reduction. My client did his part to save his home: he continued to work hard, save his money, and prove to the bank that he could make a modified loan payment. In the end, both sides are winners: my client keeps his home, and the bank gets a fair return on its loaned money for the home (well in excess than the money it would have obtained from selling the home after an eviction of my client). Is it possible to beat foreclosure? As I always tell homeowners: absolutely. I never promise that I can always succeed at a foreclosure defense, but I have found that many struggling homeowners have options to avoid foreclosure, in lieu of simply giving up and leaving their homes. But, as I always say, homeowners need to do their part to beat foreclosure, by proving they can make reasonable, affordable payments on their mortgage loan. To beat foreclosure, a homeowner should seek the assistance of an experienced foreclosure defense attorney. While homeowners have the right to represent themselves in court (referred to as a pro se party) I have found that few homeowners are able to handle these tricky matters on their own. The risks aren’t worth it: get the help of a professional if you are facing foreclosure (homeowners with limited income should contact the Massachusetts Attorney General’s HomeCorps program for assistance in finding a volunteer attorney). This entry was posted in Massachusetts Foreclosure Law Blog and tagged firm news, foreclosure, summary process. Bookmark the permalink.